The reference map of New Zealand uses National Geographic's Executive style with an antique-style color palette and stunning shaded relief. 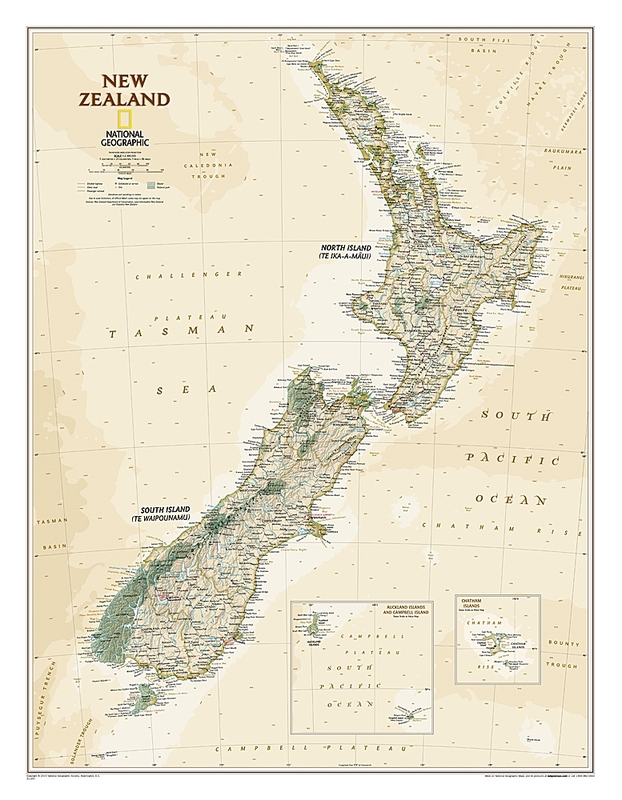 The map shows this island nation in great detail, from the subtropical North Island (Te Ika-a-Maui) to the glacial carved valleys of Fiordland on the South Island (Te Waipounamu). The North Island is best known for large volcanic lakes and the cities of Auckland and Wellington. The South Island is famous for the Southern Alps that run along the spine of the island. The highest point in the country is Aoraki (Mount Cook) and is found in the Southern Alps.